Why start a company in the UAE with SHURAA BUSINESS SETUP? 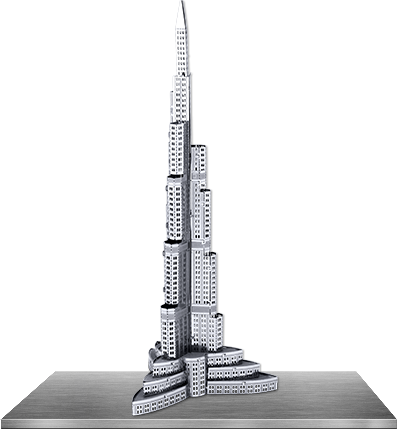 Dubai as well as the entire of the UAE is an ideal location to start a business. Once an oil & gas-dependent economy, today UAE is known for offering the most diversified business markets. UAE also acts as entry point for business ventures across the Middle East region. This is because of its liberalised norms and cosmopolitan population. UAE provides the best location to set up businesses, but the procedure to start the business can be intense. With Shuraa Business Setup you can be relaxed! We offer the best business setup services in the UAE. With experts to advice, strong government connections & reliable assistance your business setup can be done at instant! If you are still questioning how to distinguish Shuraa Business Setup from the other companies offering business setup services. Know our unique features that will assure you to start a business with Shuraa Business Setup. Shuraa Business Setup are the pioneers of UAE business setup services. Established in 2001, for the past 17 years nothing has been impossible for Shuraa in terms of business setup in the UAE. Be it crucial paperwork or any other governmental permissions, we are here to help. At Shuraa Business Setup we have always prioritized clients & enabled them to save their time, effort and money. Using our expertise and experience, we have successfully registered over 20,000 companies and counting. We aim to register more companies & aid entrepreneurs become brand ambassadors of the UAE’s inspiring economic growth. Shuraa Business Setup can be your local partner/ sponsor and help you establish a business in Dubai or any other emirates. Partnering with us provides you with trustworthiness and transparency at all stages of company formation. Even when the company is fully regulating, Shuraa Business Setup is here to support you! Shuraa Business Setup offers free PRO services for companies under Shuraa’s sponsorship. Being under the umbrella of Shuraa Business Setup is a happy experience & we make it happier by providing free PRO services. This means basic certifications or document clearances for starting your business will be done without any charge. Shuraa business setup is an authorised agent for company formation in Dubai as well as other parts of the UAE. Based in Dubai, we are a licensed business setup consultancy offering business setup services. Being a member of Dubai Chamber of Commerce DCC & having associations with governmental bodies – we have become an authorized agent for business setup in the UAE. Not sure about your mandatory business partnership of 51% with a local national? Shuraa Business Setup offers Investor’s Protection Contract – which is a side agreement. Partner with Shuraa as your local sponsor and get an Investor Right Protection Contract that will allow you to be the sole owner of your company. This contract permits you to collaborate with a silent partner & offers 100% ownership. Shuraa’s solutions are cost-effective and risk-free that has bagged us several awards in the past and in recent times! We have been recognized to make business setup easier, faster, safer and affordable. Our most recent awards are the GBM Awards - the Best Consultancy for Business Setup 2017, IRS AsiaOne - World’s Best Brands & Leaders 2018, MEA CIO Leaders 2018 and so many more! Shuraa ensures hassle-free business setup services with one-hand documents clearance. Business setup requires a wide-range of documents! Therefore, at Shuraa we strive to provide everything under one roof! You do not need to run around from one governmental department to another, neither do you need to worry about the documents required to setup your business Shuraa will do it all for you! Yellow Pages and several other directories have listed Shuraa as a leading business setup service provider in the region. With years of experience & credibility in the market, Shuraa has maintained an outstanding service in all aspects of company formation across the UAE. Simply send us an inquiry or chat live with a business setup consultant to know more in detail about why to start a business in Dubai or anywhere around UAE.